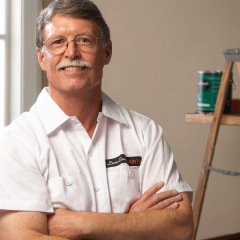 Firmly rooted in the United States since 1925, Dunn-Edwards Paints ® began a small, family-owned business that — through hard work and commitment to quality — has grown to become one of the country's leading manufacturers and distributors of paints and painting supplies. We dedicate ourselves to providing professionals and consumers throughout the Southwest with a complete line of the highest-quality, best-value paints, painting supplies and equipment — as well as superior service. And we do it with pride.